About | Woo You is Redefining Dating in the Digital Age. 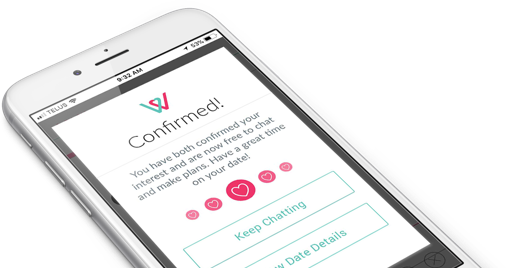 Woo You Free Dating Application was created as a response to the overwhelming challenges faced by singles dating and trying to find love in the digital age. Launched, January 2018, Woo You developed native applications designed for both Apple and Android mobile devices. Woo You is available for free download in the Apple App Store and in the Google Play App Store. "Our vision is to create a better way for people to find love and lasting relationships in the digital age"
We strive to build a vibrant, diverse and interactive community of relationship minded singles, emboldened and empowered to break the cycle of screen to screen interactions and committing to making a date for love through face to face experiences and interactions with compatible singles. "Leveraging the Sciences of Love and Attraction, Woo You helps connect compatible singles based on their shared interests, values and passions for life." We make this possible by providing a platform that’s Easy to Use, Well Designed and provides the tools and resources to Make Dating Fun and Exciting, ultimately connecting compatible personalities with inspiring, memorable and Life Changing Dating Experiences. Woo You is designed for all relationship minded singles looking to find love and connect with other local singles in their cities, towns and communities, regardless of their gender, race, religion or sexual orientation. We welcome all people looking to find love and lasting relationships and strive to provide a safe and welcoming community. While most dating apps and online personal sites these days rely on Lust, the first stage of love and entanglement, Woo You is designed to provide the tools and resources to help relationship-minded singles, create dating experiences and connect through real life interactions and intimacy. When forming truly romantic and lifelong relationships, the magic happens in the next two crucial stages of Love: Attraction and Attachment. Love doesn’t exist in a vacuum. You have to show up. Woo You is designed to help reinforce and provide the stage for both Attraction & Attachment to happen. Attraction is experienced in response to Dopamine, a powerful love chemical released by the brain when we do the things we love and feel good to us. In addition to Dopamine, a secondary Love Chemical; norepinephrine, is released during attraction. These chemicals make us feel giddy, energetic, and euphoric. The final stage of Love is Attachment and is arguably the most important, particularly for reinforcing bonds and building the foundations of long term relationships. As with the first stages of Love; it’s all about chemical attraction. It is in this crucial stage and only through deeply personal shared moments of intimacy, that our brains release oxytocin and vasopressin. These are the same hormones that connect us for life and are the same deep bonds we share with our children and families. With the science of Love and attraction on our side, Woo You is convinced; that by providing the tools and resources that inspire relationship-minded singles to connect in real life, through life changing dating experiences, our members are sure to find true love doing what they love.